Sales management mobile apps help sales and account managers streamline activities and manage their pipelines on the go. We evaluated dozens of mobile sales apps and narrowed it down to the top six tools for 2018, as well as the best overall. Key features like reporting, mobile pipeline management, and ease of use were part of the selection criteria. Mobile sales management software, like a CRM software mobile app, allows you to perform sales activities on the go, from making calls and logging call notes, to locating hot prospects nearby, to updating your pipelines viewing sales metrics and keeping important tasks top of mind. When considering mobile apps, we looked for mobile tools that made it easy to perform sales activities, were affordable, easy to use, and provided access to key metrics like won and lost deals by customer. Price & Affordability – We compared pricing of CRMs and their mobile apps with similar products and included those that would be budget-friendly for sales managers working within small businesses. Activity Performance, Management & Tracking – We evaluated how each option helped sales managers perform essential mobile sales tasks like making calls or sending emails. We also evaluated sales activity tracking and management functionality. Metrics and Reporting Access – We looked at the metrics and reporting capabilities of each option. Even in the field, sales managers need to run or view customer and prospect reports to create more relevant interactions. Pipeline Management – We considered how each option made it easy to update and view pipeline status from within the mobile app. Lead & Contact Management – We looked at whether or not each option allowed sales managers to add and manage leads and contacts. Geolocation & Maps – We evaluated how each CRM mobile app was able to help sales managers navigate their territories and help maximize their time. Day Planners & Calendar Sync – Mobile sales managers depend on their day planners and need their mobile and desktop calendars to sync. Ease of Use – We looked at how easy the mobile apps were to use and navigate by researching user ratings and reviews. Freshsales has the best overall sales management mobile app because it meets all of the above criteria and it’s easy perform sales activities like making calls, sending emails, managing leads and contacts, and updating pipelines, all from your phone. It even goes above and beyond in the geolocation and maps criteria by allowing you to book an Uber from within the app. Freshsales has the best overall sales management mobile app because it allows field-based sales managers to perform essential sales activities on the go, such as making calls, sending emails, managing pipelines, and scheduling meetings. It even has the ability to book an Uber directly within the app, with pricing ranging from free to $49/user per month. These features for the price make it a good option for field-based sales managers looking for a robust yet affordable mobile sales management solution. Freshsales is affordable, with tiered prices between $12/user per month to $49/user per month for the Estate plan. There’s also a free version that comes with access to the mobile app. It’s great for businesses that rely on telephone-based outreach with sales teams that are always on the go. The Sprout Plan is the free version. It offers access to the mobile app for free, similar to the other sales management tools listed here, with the exception of Apptivo, which only includes the mobile app at no additional cost in the Premium and Enterprise plans. The Sprout Plan is appropriate for mobile sales managers who use calling as their main sales activity and only need basic lead and contact management features when in the field. This is a great starter plan for sales managers working for small businesses without a lot of data or email activity and only have a need for basic reporting. The Blossom plan builds on the Sprout plan and offers more advanced tools, priced starting at $12/user per month. This plan offers advanced analytics and reporting, the ability to send and track up to 250 bulk emails, and two-way email sync. It’s comparable to Zoho’s Standard plan that also allows you to send 250 bulk emails at the same price point. Freshsales’ Blossom plan is the best option for mobile sales managers who need a more robust mobile sales management CRM than the Sprout plan offers. Features like two-way email sync make it easier to send and receive emails from within the CRM while you’re in the field. Access to advanced reporting also makes it easier to get client and prospect information that could be useful before heading into meetings. The Garden plan expands on the Blossom plan, with pricing starting at $29/user per month. It offers territory management, lead scoring, lead assignment, and an expanded number of automation workflows. A feature that is particularly handy for the mobile sales manager is lead assignment, which notifies the sales manager within the mobile app that there is a lead assigned. This notifies the sales manager to take action right away from the field. This plan is best for mobile sales managers who part of a team and are assigned leads that need to be worked immediately no matter where they are. It’s also best for the mobile sales manager who uses automated workflows and prioritizes leads based on probability to convert. The Estate plan starts at $49/user per month and offers expanded sales campaign, lead scoring, and bulk email capabilities. It also offers web-to-lead capture forms, additional sales campaigns, auto-profile enrichment, and additional workflows. The Estate plan is great for mobile sales managers that rely on sales campaigns and web-to-lead capture for incoming leads. With these capabilities, alerts and notifications can be set, letting mobile sales managers know they have new leads to follow-up on. Freshsales is missing a business card reader. If you’re a sales manager who collects business cards from prospects and new customer contacts while out in the field, you’ll want a business card reader to avoid manual entry of contact information on business cards. If this is important, you’ll want to look into business card reader apps or a CRM like Insightly, which comes with one. You’ll also want to check out Apptivo if you need to access help desk issues or invoices. Users find the Freshsales mobile app easy to use with a lot of convenient features useful while on the road. Dislikes fall under the category of minor glitches or temporary system issues. For more information on reviews of Freshsales CRM, see our Freshsales review article. Mobile sales managers can do their jobs more effectively in the field when they’re equipped with tools that enable them to make calls, send emails, and schedule meetings. They’re even more efficient with tools that allow them to identify nearby prospects and make sales calls. Visit Freshsales today to try these tools yourself by signing up for a 30-day free trial. Pipedrive is the best CRM mobile app for sales managers on the go who want to maximize their field time by identifying and connecting with prospects and customers within the territories they’re working. 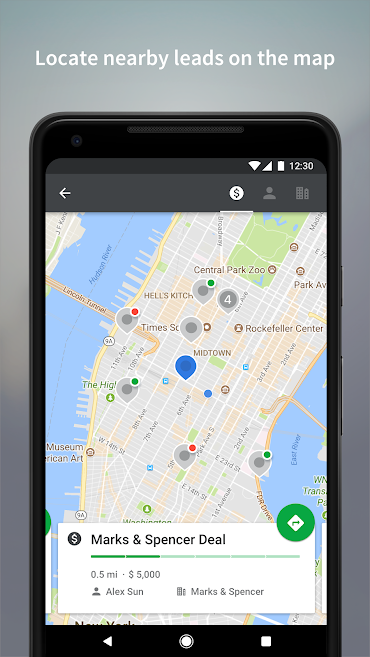 The mobile app starts at $12.50/user per month and includes map features showing nearby prospects and customers and provides directions from your location. This feature makes it a great option for mobile sales managers looking to maximize sales calls within their current geography. Ranging from $15/user per month to $59/user per month, Pipedrive is an affordable option for mobile sales managers in small businesses. All plans come with an iOS and Android mobile app. Annual discounts can bring the price down by as much as 17 percent. The Silver plan offers a basic set of CRM features, including activity schedulers, reminders and a calendar where sales managers on the move can quickly access their meetings and to-do lists. The price points and functionality are similar to Zoho and Freshsales starter plans. For mobile sales managers looking for a robust, affordable, highly visual mobile sales management tool to start out with, the Silver Plan is a great choice. Priced at $15/user per month, it is a great option for sales managers who want to stay focused on the most important sales activities while they’re out in the field. The Gold plan contains everything in the Silver plan but offers fully integrated email where emails can be sent and received directly in Pipedrive. 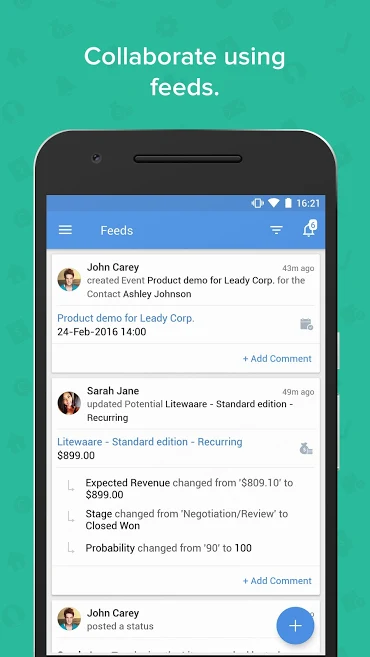 Within the mobile app, you’re able to see emails associated with contacts and deals. This provides insight and context as you’re out meeting with prospects and customers. Pipedrive’s Gold plan is best for mobile sales managers looking to go beyond the basics for an affordable cost of $29/user per month. It is best for sales managers looking for a mobile app that will give them insights about their deals while they are in the field meeting with prospects and clients. In addition to everything the Gold plan offers, the Platinum plan includes single sign-on, multiple dashboards, the ability to create teams, and revenue forecasting reports. It is priced starting at $59/user per month, which is comparable to Insightly and Freshsales plans at this tier. The features in the Platinum plan are best for companies with larger sales teams because they streamline lead management and follow-up activities and save business owners, sales managers, and salespeople time. The mobile features in this plan are the same as in the Gold plan. Pipedrive is missing a business card reader, project management tools and the ability to book an Uber to your appointments and meetings directly in the app. If these features are tools you’ll need as a mobile sales manager, you should consider either Freshsales, which offers the Uber app, or Insightly, which offers the business card reader and project management features. Pipedrive users love that it is easy to use and has a simple user interface. The Pipedrive mobile app hasn’t received a lot of negative reviews, but there are people talking about how slow the load times can be for some. For information on user reviews for the CRM software, see our Pipedrive review article. Sales managers who are field-based and want to maximize time in their territories should try Pipedrive. 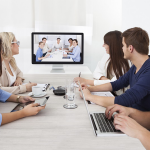 Its geolocation and map functionality, along with details associated with contacts and opportunities, help facilitate more meetings with more relevant interactions. You can try these tools today by signing up for a free trial. 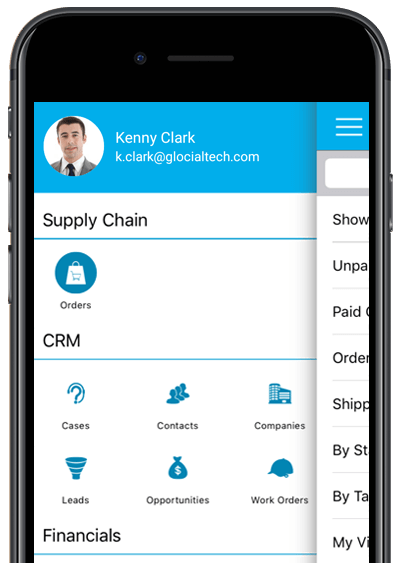 Insightly’s CRM has a sales management mobile app that helps sales managers on the go handle sales activities ranging from prospecting to project management. It includes the ability to view project status and assign tasks, and its project management features arm mobile sales managers with the information they need to provide customers with project status updates. It is therefore right for managers who are responsible for both a project’s success as well as general sales. 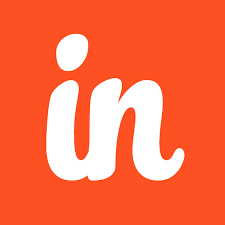 Insightly offers a free plan for up to two users for sales managers requiring basic functionality. With pricing starting at $29/user per month, Insightly’s Plus plan is affordable for mobile sales managers working for small businesses. As needs grow, prices remain affordable with the Professional plan at $49/user per month. 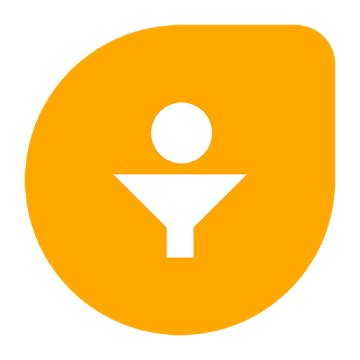 Insightly’s Free plan offers a core set of task, opportunity, relationship, and project management features for up to two users. These features are also on the paid plans, but the free plan has size and storage limitations. The free features are comparable to the Zoho and Freshsales free plan, but unlike these options, Insightly offers project management tools to help foster long-term relationships. For mobile sales managers just starting out and working for small businesses with only one or two users, this is a great starter plan, especially if they manage projects. It’s a great option if you don’t mind manually entering contact information from a few business cards, if calendar sync isn’t important just yet, or if you’re using a calendar app. At $29/user per month, the Plus plan offers the same features as the free plan along with a few more advanced features like the unique business card reader with data transcribed by Insightly, and calendar sync. It also does not have as many limitations as the Free plan. 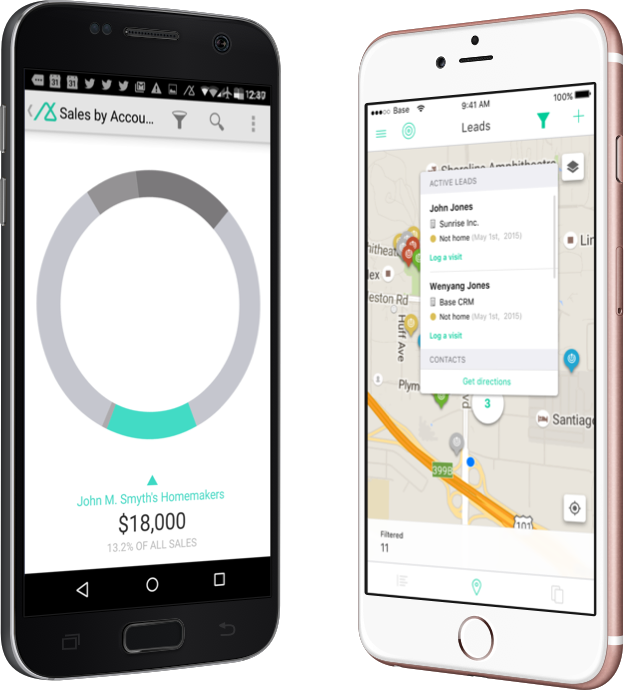 The Plus plan is the best option for mobile sales managers who need to accommodate a larger number of records and whose company has more than two users. It’s also a great plan if they require fewer restrictions on the amount of available storage. The Professional Plan is affordably priced at $49/user per month. It offers mobile sales managers even fewer restrictions in terms of number of records and data storage, while offering tools and resources not available on the Free and Plus plans. While on the go, sales managers can receive notifications of assigned leads and even assign tasks to team members. This plan is best for mobile sales managers who are part of medium or large sales teams that may be segmented by territory or product. Lead assignment features help mobile sales managers stay focused on leads that are best for them. Also, the ability to assign tasks helps them to keep projects and deals on track while in the field. Insightly is missing built-in maps and geolocation functionality. This is helpful when you’re on the road and are planning the best way to get from one prospect or client meeting to another. If having this as a built-in feature is important, Freshsales and Pipedrive are better options. 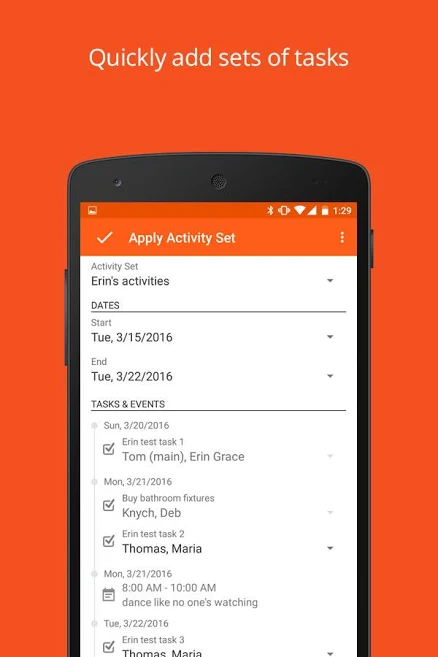 Most Insightly users like the mobile app because it keeps them organized on the go. However, there are some negative reviews about the mobile app, mainly to do with glitches, desktop features not available on the app, and missing functionality users feel would make the product better. For more information on Insightly user reviews on the CRM overall, see our Insightly review article. 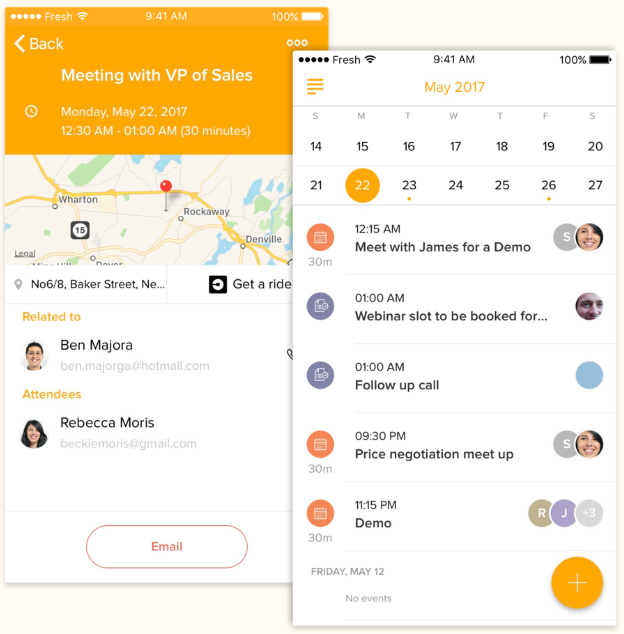 If you’re a mobile sales manager who could benefit from a CRM with both sales and project management tools, consider Insightly. 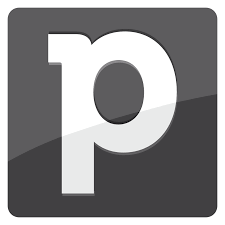 It gives sales managers on-the-go tools that support prospecting as well as project management. You can sign up for an Insightly free trial to see if it’s right for you. 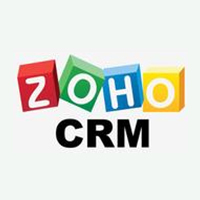 The Zoho CRM mobile app has free and paid tiers and allows sales managers to collaborate with multiple departments while on the go with team communication feeds and @ mentions. What makes it unique is that it combines sales, marketing, and order management in one tool and makes collaboration easier between these areas. Therefore, it is best for mobile sales managers who work with multiple departments to close deals. Starting at $12/user per month, Zoho is affordably priced for small businesses. Pricing at the Professional level is also very competitive at $20/user per month. There is also a free option for teams of up to three and includes mobile access. With the Free plan, Zoho offers the ability to track tasks, events, and log calls from a mobile device. It also includes basic workflow management tools like workflow rules and email notifications, lead management, and sales analytics and reporting. Within the mobile app, sales managers are able to collaborate with team members, log calls, and access reporting, similar to Freshsales’ features. This plan is best for sales managers with fewer than three users who use social media as a tool to engage their potential customers. It’s a great starter plan that will foster teamwork while working to close deals or support customers post-sale. It is similar to Insightly’s free plan, which also allows a small number of free users. The Standard plan has everything the Free plan has and also offers the ability to link emails to deals and sales forecasting. It includes advanced marketing tools like mass emails, marketing campaigns, and social media lead capture forms. The mobile app allows sales managers to view customer emails and access reporting. The Standard plan is best for mobile sales managers who are looking to manage sales activities and marketing campaigns, need to view deal details and metrics while on the road and collaborate with multiple departments to close deals. Pricing for the Standard plan is similar to Freshsales’ pricing at this level, at $12/user per month. The Professional plan builds on the Standard plan and is priced at $20/user per month. It adds more advanced tools such as Inventory and Order Management and Zoho Finance Suite. These tools allow mobile sales managers to manage inventory and sales metrics while they’re in the field. The Inventory Management feature also keeps them informed of any problems with orders or inventory so they can work with their colleagues to resolve them. This plan is well-suited for mobile sales managers who want to access and manage inventory while they’re in the field. Accessing this information on the mobile app can save time and keep deals and orders moving forward even while they’re away from their offices. Therefore, this plan is best for businesses that offer products for sale. Zoho lacks the project management features and business card scanner found in Insightly. Although both of these features can be added through separate Zoho apps, Zoho is not as out-of-the-box ready as the other sales management tools we compared. Also, Freshsales may be a better fit if you’re looking for a free plan for more than three users. Zoho users love all of the things you can do within the app, such as collaborate with team members, record voice notes, and access reporting and dashboards in real-time. Some users, however, don’t like having to buy add-on products to get the functionality that is built in to other types of CRM. For more information on reviews, see our Zoho review article. If you’d like to try a sales management mobile app that facilitates team collaboration, sign up for a free trial with Zoho today. You can also sign up for their free plan, which accommodates up to three users. Base is a higher-priced CRM and mobile sales management app that offers the same CRM desktop features on your mobile device. What makes it unique is that you can use and benefit from email productivity tools (like email template) and insight notifications (like opened emails) from within the mobile app. It’s best for mobile sales managers who need to use productivity features like email templates from their mobile devices in addition to their desktops. Base has higher prices than the other options, yet is still affordably priced, starting at $45/user per month. At the Enterprise level, the pricing is competitive (well under $200) at $145/user per month. The Starter plan, priced at $45/user per month, gives you the basic CRM experience within the palm of your hand, offering the ability to customize your sales pipeline and access to basic sales tracking and reporting. Even at this level, the mobile app offers the same CRM features as on your desktop. This plan is the best option for mobile sales managers looking to set up and customize their pipelines and have access to basic sales tracking and reporting while they’re in the field. Pricing is affordable but higher than the other starter plan options listed in this article. For small businesses looking for more budget-friendly, robust mobile app starter plans for under $20/user per month, Zoho, Freshsales, Pipedrive, and Apptivo are better options. Priced at $95/user per month, the Professional plan builds on the starter plan, offering additional features like forecasting, team performance analytics, task automation, and team document storage. These features are key to the mobile sales manager who wants to be productive using task automation or more efficient if they are also tasked with managing teams. This plan is a great option for sales managers who want to automate their sales processes and manage their sales teams while they are in the field. It’s affordable, but offered at a much higher price point than the other options. For small businesses looking to manage teams with mobile CRM tools but want a more affordable price, Freshsales and Zoho would be better options. The Enterprise plan, priced at $145/user per month, builds on the other two plans, offering additional features like predictive sales intelligence, lead and deal scoring, product and price books, the ability to create multiple pipelines, and role-based permissions. These features allow the mobile sales manager to sell their products, analyze their business, and manage their activities and teams. This plan is competitively priced but still much higher than the other options listed. This plan is best for sales managers on the go who want tools that will allow them to sell products and manage activities, as well as data that will allow them to make decisions. Base provides desktop-level functionality within its mobile app and as a result, lacks a pricing plan comparable to the other products’ starter plans. There is also no free plan outside of the limited-time free trial. Additionally, Base is missing features like lead scoring (except at its highest price plan), which can put it at a disadvantage for teams that don’t require mobile access to all the same functions as found on the desktop version, as compared to a product like Freshsales. Users like Base’s mobile Sales Management app because it’s easy to use, has a user interface with a consumer feel, and gives you access to a full-featured CRM on your mobile device. There are very few things people seem to dislike about the mobile app. For more information on reviews of this product, read our Base review article. If you’re looking for a sales management mobile app that will give you a full-featured CRM on your mobile device, give Base a try by signing up for a free trial. It’s a great option if you are often on the go and aren’t able to log in on a desktop. Sign up today to get started. Apptivo is the best CRM and mobile app for sales managers who want a 360-degree view of customers and prospects, with a free version and two paid versions. It’s unique because it offers full access to interactions from prospecting to customer support through several specialized apps handling leads, invoices, work orders, and help desk support. It is best for sales managers involved in a variety of functions, including managing leads, providing quotes, and managing projects. Apptivo is one of the most affordably priced CRMs for all the functionality it offers. There’s a free version for up to three users, and non-Enterprise pricing levels go up to $20/user per month. There’s also a 30-day free trial so you can see if it’s right for you. The starter plan is free for up to three users. It includes basic features such as lead and contact management, opportunity management, invoicing and purchase order management, standard reporting, and activity management. However, in order to use these features on the mobile app, you’ll need to sign up for one of the paid plans. This plan is the best option for mobile sales managers who want to try a comprehensive sales management mobile app. Should you decide these features are right for managing your sales process while in the field, you can upgrade to one of the paid plans, which will give you access to these features on your mobile device. Starting at $8/user per month, the Premium plan offers everything the free plan offers as well as additional features including workflows, the ability to create multiple pipelines, contract management, email integration and more. While on the go, managing contracts and workflows help mobile sales managers keep deals going while they’re in the field. For $8/user per month, Apptivo offers advanced features that other mobile apps charge premium prices for. The Premium plan is best for mobile sales managers who are responsible for sales activities as well as deal management activities. It’s also great if they are responsible for managing project or customer support issues. Unlike Insightly’s post-sales management features, Apptivo offers the ability to manage projects and customer support issues within the app. Also, it offers the ability to manage contracts, which is not a built-in feature offered by the other providers. Starting at $20/user per month, the Ultimate plan offers territory management. It also offers a dedicated account manager, a white label user interface, a higher level of file storage, and the ability to send a larger number of bulk emails. For $20/user per month, these advanced features offer a high value for the money. The Ultimate plan is best for mobile sales managers who are not only responsible for managing a book of business but responsible for a territory-based sales team. Being able to manage a territory-based team from the field can help maximize sales across various geographies. This distinguishing feature of the Ultimate plan is comparable to Freshsales, which also offers this feature. Apptivo’s free plan doesn’t offer access to the mobile app. It’s also missing a built-in business card scanner, which saves time from manual data entry. If you need a business card scanner, Insightly is a good option. It is also missing geolocation capabilities. This is also key when you’re on the road and need to get to nearby clients and prospects. If this is an important option, getting a geolocation app or considering a sales mobile app like Pipedrive are options. Overall, users really like Apptivo, especially because of the price point and all of the advanced features it offers. Most of the dislikes were due to a few experiences of the system being a bit slow and having the occasional small bugs. Check out our Apptivo review article for more information. If you are a mobile sales manager who could benefit from a 360-view of your customer or prospect even while you’re on the go, sign up for a 30-day free trial of Apptivo. The best mobile sales management app is easy to use, affordable and has all the tools you need to manage sales activities on the go. 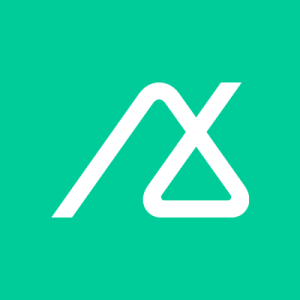 If you are looking for a mobile sales management app with project management and help desk features, Apptivo or Insightly are great options. Also, if you’re looking to easily log calls, send emails, quickly view sales metrics, or locate nearby contacts, consider Zoho, Base, Freshsales, and Pipedrive. Managing your sales activities while you’re on the road is easier with a mobile app. Freshsales helps mobile sales managers perform core sales activities and even offers a link to Uber to help them get to clients and prospects that the geolocation tools helped identify. 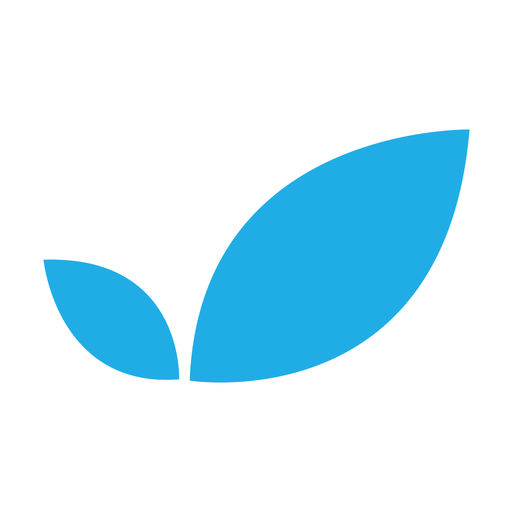 Give Freshsales mobile app features a try by signing up for a free trial.